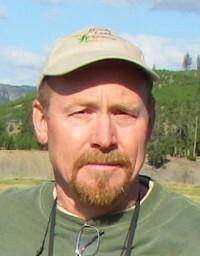 Duncan Hay is the Executive Director of the Institute of Natural Resources, an independent applied research organisation. He was previously a staff member at the Institute from 1992 to 1998 and served as an internal director from 1998 to 2004. Duncan has an MSc degree in Zoology from the University of Natal and a postgraduate diploma in Environmental Security from the University of Cambridge. He is also an Associate Research Fellow of the University of KwaZulu-Natal and has worked extensively with the Universities of Florida, Montana, the West of England (UWE) and Monash, South Africa. His primary professional interests include water resource and estuaries management, rural development focusing particularly on the craft sector, and community-based natural resource management. He has authored and co-authored over forty research reports, book chapters, handbooks and peer reviewed publications. Until recently he was coordinator of the uMngeni Ecological Infrastructure Partnership and is conducting research on water security within the uMngeni River Basin. In his personal capacity Duncan chairs the Midlands Community College, a non-profit, further education and training facility which focuses on bridging the gap between school and tertiary education. Duncan has completed the iconic Comrades Marathon on ten occasions and is an enthusiastic fly angler.